Last year, I went on a PieQuest to make crazy pies. The following originally appeared on the Latter-day Woman Magazine Blog. When I first started planning my PieQuest, I knew I couldn’t make a full-sized pie for every recipe I wanted to try. I mean, what if they were gross? What if they were amazing—and I ate the whole thing? What would I wear if I got too fat for my clothes?! 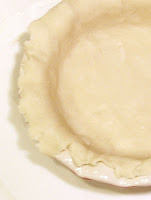 Being wayward and crafty, I wanted to figure out how to adapt full-size recipes to my mini pie pans myself. I started thinking through the math and the formula for the circumference and volume and how to convert that from cubic inches to cups…. and then I realized there was a much easier way. We’re measuring volume and we want the answer in cups: pour water in them to measure the volume. The easiest way to do this is to use a graduated liquid measuring cup. Fill it to an easy-to-remember level: start with 1 cup. Pour it into the pie pan until the pie pan is full. (To make sure you’re not spilling, you might put your pie plate on newspaper or white paper that will show spilled water quickly. Then stop pouring!) Look at the cup and see how much is left. For my 5″ pie pans, the volume was 3/4 cup. I also checked my usual 9″ pie pan. It was 4 cups. The math is coming back in here: (3/4)/4 = 3/16 = 18.75% . The 3/16ths measurement might sound weird, but it works well for our Imperial measurements: there are 16 tablespoons in a cup. The first time I broke out my pie pans, I actually used all four for one batch of pies (with variations). When you’re making four at a time, you’ll reduce the recipe for the filling to 3/4. Though some interesting surface area calculations that I can’t seem to replicate just now, I ended up figuring I should use the same factor to convert a double 9″ crust pie recipe into a 4 x single 5″ crust pie recipe. I have no idea how I got some of these numbers—apparently showing your work is a good idea. All I know is this worked for me when I made the crust! Here’s an adaptation of a pie crust recipe from the Better Homes and Gardens New Cook Book (love it!). When I made my first batch of mini pies, I used a different recipe that had waaay too much shortening! The BHG cookbook tells me too much shortening makes a crust crumbly, and it really was. This BHG recipe, however, has always worked for me in the past. Mix the flour and the salt in a medium bowl. Using a food processor, two knives or forks, a pastry cutter or your fingertips, cut the shortening into the flour until the mixture resembles coarse pea-sized crumbs. Add the water, one tablespoon at a time, to the flour, gently combining it, until the dough sticks together. Divide in four equal balls. Chill if desired. Roll out each piece to 1/8″ on waxed paper or a floured board. If necessary, carefully use a spatula or pancake flipper to get it off the board and transfer to pie pan. Possibly the best part of these little pies: even if you eat the whole thing, it’s like 1 1/2 slices of an 8-slice pie! If you can find someone to split your mini pie with, you’ve eaten less than a piece! What do you think? What size pie would you make? Great thinking! Thanks for sharing! You are WAY better than me because my head hurts just thinking about all of that Math. Thanks for sharing the info with us. These would be so cute as a dessert for a dinner party. 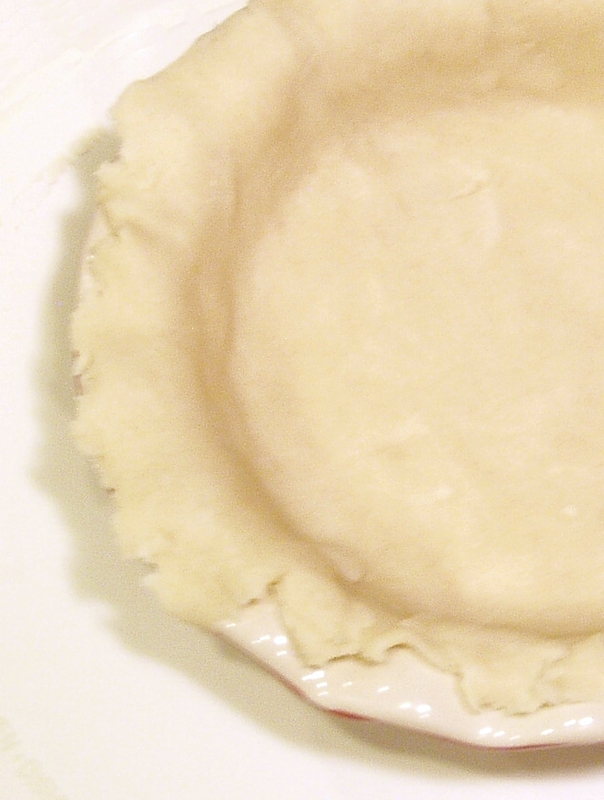 Love the way you used measurements and volume to work out the change in recipe to a mini pie. 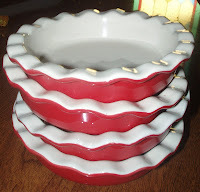 I am going to look for these sweet pie tins- I could make a bunch and freeze them and then not eat the whole pie myself!! Found you through House of Hepworths. Join our Wayward & Crafty members! Click here to join our 500 friends! Wayward & Crafty? Grab a badge! Get free waywardness delivered to your inbox! Which of your craft supplies are a necessity? Modest makeover: 50¢ shirred maxi dress! Metal Tray Redo--Your Ideas Needed! Copyright 2011-2014 Wayward Girls. Powered by Blogger.